We begin again. For two years, this blog was a leading voice against a toxic consolidation of power in the United Methodist Church. Now that same consolidation has come forward again and it’s important for us to keep watch on it until General Conference decides what to do with it. Recently it was reported that a group of individuals had edited PlanUMC, a global restructure plan, and submitted the legislation for General Conference to consider when it meets in May 2016 in Portland, Oregon. Let’s explain what this is: The United Methodist Church has some global ministry groups that handle specific tasks. One coordinates missionaries and missions around the world. One provides worship and educational resources. One handles the money and another handles the pension. One facilitates communication of all that the other ministry groups and local churches are doing. And so on. In their current forms, all of their tasks are governed by independent representative boards from across United Methodism. That’s it: there’s no administrative group above them other than General Conference which meets every four years. PlanUMC is a drastic overhaul of these ministry groups and a consolidation of some of their governing powers under a single board, or in some cases, a single individual. This is done under the auspices of fairness, proportionality, right-sizing, and other business terms that justify removing voices from the table and governing ability from dedicated boards. This blog finds serious, significant weaknesses with this reorganization of the United Methodist Church in this way. We were a vocal opponent of it from 2010-2012, a whistleblower to the erroneous process that lead to its creation, a defender of its unconstitutionality in the aftermath…and lest you think this blog is just a hapless critic, it championed an alternative plan as well that became the primary alternative to the majority plans. This time around, the plan is a shadow of its old self, with a bare minimum number of (unfortunately very powerful) advocates. It would be almost sad if it weren’t likely to be taken seriously. How did we get from 2012 to 2016? It’s helpful to begin our 2015-2016 coverage of this story with some sunshine on the power players and why that matters. We’ll do analysis of the actual proposal in due time, but it’s important to point out some glaring differences between 2012 and 2016. For 2012, the originators were the Connectional Table (about 40 diverse elected representatives in the worldwide UMC) and it had serious star power with Rev. Adam Hamilton lending production videos and his voice to the advocacy. For 2016, the originators are SIX guys, according to their own press release to GC 2016 delegates. That’s it. I’ll let you decide if they have other demographics in common. Conclusion: The 2016 group is significantly smaller, more homogenous, and has less official church backing, relying on the significant power that individuals in their group have in their elected and pastoral positions. For 2012, it’s important to note that PlanUMC wasn’t actually created by any official group in an open forum. The original Call to Action came from the Connectional Table and it was debated alongside PlanB and the MFSA plan. When all three failed to pass the committee vote because of parliamentary shenanigans, two men pleaded with General Conference to allow them to form a plan. The resulting “PlanUMC” was formed in secret closed session by CT and PlanB folks (no representatives from MFSA were invited), then the Conference was allowed 24 hours to read the 80 page document before the vote on it (even though the Bishops had an additional 12 hours to read it). For 2016, PlanSixGuys was made by…well, six guys who took the 2012 legislation, made significant changes to it, and have now submitted it for approval. The Bishops supporting the legislation are Bishop Scott Jones (Great Plains) and Bishop Mike McKee (North Texas)–coincidentally, one of the crafters (Don House) is the former chair of the Jurisdictional Committee on Episcopacy, to which both those bishops are accountable. Conclusion: From the beginning, PlanUMC has been crafted in secret, closed sessions where progressives were not allowed, and where central conference voices were similarly excluded–from PlanB at least (I have no idea how many Central Conference voices were in the closed, secret room debating PlanUMC at GC2012). For 2012, the PlanB and the official Plan from the Connectional Table both collapsed the agencies dedicated to minority voices (women, persons of color) and made them into one single agency. The MFSA plan did not do that and championed their necessarily-independent voices and agencies. 2012’s PlanUMC, in a tiny carrot to progressives, brought them back to two distinct boards, but kept them accountable to the executive board. For 2016, PlanFiveSouthernGuysAndAnAlaskan relegates the current independent agencies dedicated to minority voices as a single sub-committee of the main committee. Instead of being an independent voice, it reports to the Connectional Table, which also has oversight responsibilities over them, including in their evaluation, financial resources and selection of their chief staff…meaning not very independent, is it? Also: the legislation removes references to the need for young adults in multiple places (while leaving ethnic diversity in place), which is rather disturbing. Conclusion: Both of the first two points have been focused on the “who” and not the “what.” It’s important to articulate precisely who is behind these initiatives not to vilify them but to show the reality of the power structure. When the very people who call the UMC to accountability regarding ethnical, racial, age, and gender diversity are disempowered in the UMC, we see why the “who” matters. There’s been a little bit of snark above, but I have serious concern about PlanSixPowerfulGuys this time around. Last time there was a lot of scrutiny, a lot of conversation, and a lot of proper vetting of the plans. This time, it seems to be going unnoticed and I worry about such a far-reaching plan sliding in as the rest of the church is fixated on LGBT inclusion and Schism plans. To have such a wide-ranging plan be supported in this way is of serious concern. You can count on this blog to be a (hopefully) knowledgable voice on the issues surrounding this plan, as well as explaining it as clearly as I can for Methodists who are elected delegates for General Conference 2016 and will make the final decision, with the Spirit’s leading. I probably share many theological concerns w/the framers of the latest document, but – as in 2012 – I oppose the plan. I don’t see how centralizing power helps our mission or Church unity. FYI another reorganization plan is coming out of the NEJ, and I find that plan even more distasteful. Jeremy, could you please cover the NEJ plan in-depth as well? As you know, I currently live in the NEJ (but am officially a member in NCJ). Please let me know if I can help you get in touch with the NEJ plan organizers. I have it (I had it long before it was released, in fact) but I haven’t had time to analyze it. It might wait until the ACs have passed it and it becomes final legislation from the NEJ. So 6 white, all older gentleman. NO! This does not even start out looking like anything UM! I serve a historic congregation-John Street (NYC)-and have worked closely with Archives & History numerous times. I take issue with this proposal’s desire to place the work of GCAH under GCFA. Taken with the subjugation of commissions on Race and Religion and the Status and Role of Women, I see a failure in the plan to deal with aspects of church life that aren’t easily quantifiable and monetizable (ie. historic preservation and interpretation, identifying and uprooting systemic racism/sexism, etc). Taking these specific issues seriously makes us less efficient in the short term, but, I think, gives us the potential for a more faithful future by directing our attention to voices and persons that we have a history of ignoring. Very well said. Thank you, Jason. One thing you’ve left out of the conversation about PlanUMC is the Council of Bishops taking the unusual (not sure if it’s unprecedented) step of sending it for pre-approval by the Judicial Council. This is an amazing piece of maneuvering by Bishop Jones. If the Judicial Council should choose to rule on it, they might get the possible speaking point of being the “only pre-approved plan.” An argument that will be used not only to support it, but to suppress amendments. Will the council take the same step for every other proposed plan? Additionally, the Council of Bishops did this with only the active bishops present. Having excluded part of their own membership from the meeting, is this a legitimate action? Excellent points, Greg. The suppression of amendments is incredibly distressing to me. Just to clarify, I was the UMNS reporter who covered the Council of Bishops meeting. The full Council took up the request to refer PlanUMC to the Judicial Council in a closed session. Retired bishops have voice, but only active bishops have voice and vote. It was indeed a closed session, so I don’t have further details about that conversation. The Council of Bishops, as a church constitutional body, aren’t subject to the restrictions on closed meetings in the Book of Discipline’s Paragraph 722. However, that same paragraph says: “it is expected that the General Conference, the Judicial Council, and the Council of Bishops will live by the spirit of this paragraph.” UMNS lodged an informal complaint with the COB president and secretary, arguing that legislative matters behind closed doors does not seem in keeping with that paragraph. Heather- You’re absolutely right that the COB has been abusing the open meetings provision of the Discipline to the detriment of the general church. Someone ought to file legislation to require the COB to meet in open session (I see no exception to that requirement; they do not handle attorney client privilege or personnel matters the way local churches or even Annual Conferences do). My concern is that the article you wrote failed to recognize that the unprecedented step of seeking an advisory opinion would be considered “moot and hypothetical” and not “ripe” for review, since the General Conference has not even passed on the legislation. Moreover, who said that the Judicial Council is the only entity in the UMC that knows how to read the Constitution. Let’s give GC some credit for being able to review the Constitutionality of legislation and the responsibility to read the Constitution before passing on legislation. Just .02 from the guy who drafted the brief that took down Plan UMC in GC 2012. This would drive an ever widening wedge between the conservatives and the “progressive and liberal” contingents. Do they wish to drive us from the church? Ruth, I had a similar thought after reading this. I find it ironic that this renewed plan is released the same week as the Council of Bishops releases its statement regarding racism. To rely a new entity to address the issues of racism and sexism within the UMC is foolhardy at best. To stop the momentum created since GC2016 that we have seen in entities like GCORR and GCSRW would weaken the committment we have to creating equity, providing resources and training, as well as much needed funding for training aimed at fighting and eliminating systemic racism. This, after a significant reduction in Board size and some staff cuts and changes. 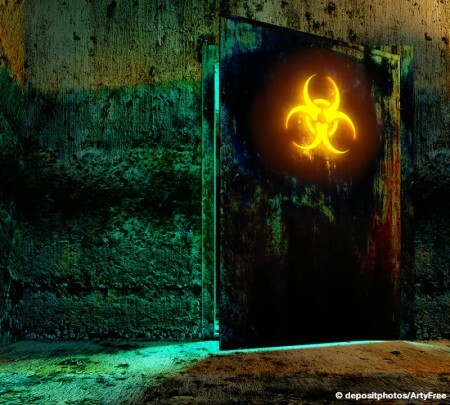 One of the major complaints I have heard over the years was that these two agencies were simply monitoring groups. As I read Plan UMC, it appears to me that monitoring is all the authors of this new plan envision a need for. For the rest of us, I pray that we can see the relevance of maintaining the current structure and the good work that has and continues to be done. It leaves one with concerns regarding unity and the potential for more division. We cannot afford to become less”United” in our Methodist identity than we already are. Centralization of power seems contrary to our connection all commitments. There was a lot – and it was unnecessary. These are fellow Christains, not political opponents, Jeremy. You undermined you own post with your need to gouge someone else. Again – you’re better than this. We all should be. Specifically where is the gouge, Sky+? And where am I treating people like political opponents? And when we’re done with that conversation, what’s your take on the process this time around? If you can’t see the gouges and the deprecation (“snark”), my pointing it out won’t change your mind. And while I agree with much of it, I can’t give my assent given your less-than-respectful dealing with some folks above. Your critiques were valid. Your undermining of them is not. “To speak ill of others is a dishonest way of praising ourselves. . . let us be above such transparent egotism.” – Will Durant. Why do you assume that “fellow Christains [sic]” and “political opponents” are mutually exclusive categories. Surely, in spite of our theoretical oneness in Christ (theoretical because of our limitations, not those of Christ or the Holy Spirit), we still have passionate political differences that should be honestly and candidly expressed. And that honesty and candor should not be stifled by those who are uncomfortable with conflict, who think that being Christian and being nice are synonymous, or who propose calm and courteous discourse because it tends to favor the powerful and well-connected. To follow my own advice by being honest and candid, your comment to Jeremy–“If you can’t see the gouges and the deprecation (“snark”), my pointing it [sic] out won’t change your mind”–strikes me as one of the snarkiest, most disingenuous, and downright passive-aggressive replies I have read recently. So, perhaps a bit of “Physician, heal thyself,” is called for. I have never found “If you don’t know what’s wrong, I’m not going to tell you” to be a useful tool of communication. I agree Linda. Jeremy readily self-identified and pointed out his own “snark” in his article – and then asked me where the gouge was. So I am at a loss how to proceed. When David Watson was confronted with a similar situation, he chose to engage the argument. I haven’t heard of a professor being so offended they were unwilling to teach someone who needed to learn, and Dr. Watson clearly was not. I would hope for something similar from you, Sky, as we seek to make the Plan better. My goal is not to harm others. My goal is to bring clarity that the process whence it came from was flawed and we need to start over. Then, Skye, I believe the loss is truly yours. If you don’t want to admit you were out of bounds, that’s fine Jeremy. But it matters how Christians deal with each other. In my opinion, you are not engaging the argument charitably. If you’re not offended by the manner you’ve moved this argument forward – at the expense of charity – then please move forward with all speed. I think that charity and respect matter, especially among fellow Christians and Methodists. To “engage” in this argument would be to excuse your snark as acceptable ways for Christians to approach disagreement and conflict. I don’t think such is productive or becoming of us – and no better than the antics of IRD. How hard would have been for you to acknowledge that maybe you were out of bounds and revisited the way you moved your argument forward – instead of standing by your guns and claiming you’re not harming others when the tone of this blog is certainly less than charitable. Let’s start out assuming people mean the best instead of attacking the “PlanFiveSouthernGuysAndAnAlaskan” with snark and tone clearly meant to portray yourself in a better light than them. Sky, identity matters. Who we are matters. What perspective we have is shaped by our experiences. As a DS, you seek competency in your district, but if you had all male pastors, that would be an issue. If you had all white pastors, that would be an issue. And if you had all white male pastors who voted to remove a woman’s voice from a church organization in your district…that would be an issue! And if it’s an issue there, then it should be an issue when the edits to such a far-reaching worldwide plan were made by a relatively homogenous group. When, as I outlined and will expand on in the future, this leads to a reduction of minority voices, then that is of concern. To my view, the above has ONLY two points that I’m trying to convey: The narrow DEMOGRAPHICS of the crafters (moreso regionally because I believe Lonnie is from the South too–I could be wrong) and connectional POWER (that may or may not have influenced process). Because PlanUMC both diminishes diversity (in both representation and in focus through devaluing GCORR/COSROW) and increases the power of the already powerful, it is important to note “who” is driving this train. I will not have identity politics be stricken from this conversation, Sky. Identity matters. If it matters to you as well, then how can the above point be made without irritation to your sensibilities (whether you find it credible or not)? You can identify the politics without the snark. Snark is not acceptable in Christian conversation dealing with brothers and sisters. And you’re still defending yourself for it. You could have made every point you’re making without the self-admitted snark. Maybe you don’t understand that attitudes like yours drive people apart, and doesn’t do what you think it does. Truth can be told without insults or demeaning others. That’s violence, Jeremy. And I would think someone who is committed to justice would not commit violence. I am well aware of how identity matters. There are more female pastors now than this district has ever had. When I started as a superintendent, there were none. We have one of the very few cross racial appointments in the episcopal area in serve, at our largest church. However, there isn’t one primarily African-American church in our district. I’ve found out there are several reasons for that: (1) cultural – both our polity and our upper-middle classness is a turn off, (2) our unrest and infighting isn’t something they want to “catch”, and (3) the AME, CME, and AMEZ do hospitality better to African Americans than we do. We’re doing better – but I grieve over it. Over 90% of the UMC is white. I grieve over that. That doesn’t mean I discount what some white folks are doing through renewal, discipleship emphasis, and missional outreach to their communities. And that these things can be done AND we be on better guard where racial and justice issues are concerned. I won’t dismiss someone’s ideas just because I don’t like the makeup of those who posited it. If I went by your criteria, I’d have to dismiss every idea any church in the district I serve posited because it didn’t have enough diversity in it. those differences missing, a sibling will hit another sibling with a rock. I think the plan has merit but needs a lot of tweaking. But the philosophy behind it has merit. I’ve been a part of reorganizing a conference and a district that hopefully moves toward being less General Church/Annual Conference/District driven, and more local church driven. Disciples aren’t made at the Genersl Church level, or confernece level, or district level – disciples are made in the local church. If any of these institutional entities exist for any other purpose than to prop up, resource, and develop leaders for local churches so that they can make disciples of Jesus Christ – then some serious evaluation and prioritization needs to take place. Making disciples is not just the Great Commission, its they UMC’s mission. Discipleship needs to drive the train. If 6 white guys brought this up, great – bring in more diverse people to perfect it and make it better. But don’t demonize something just because you jump to a conclusion that nothing good can come from 6 white men – who just might love Jesus as much as you do, and might actually pray for the diverse church that you do, too. I respectfully disagree that Jeremy has stated that, ” nothing good can come from 6 white men.” Rather, Jeremy is making the very appropriate point that not everyone is at the table when it comes to this legislation when this legislation is eviscerating the institutional place of GCOSROW and GCORR. That raises red flags for me as an observer, and the amount of power behind it being so specifcally located in the SCJ (and in my conference, NTC as well!) doesn’t seem to imply that everyone is at the table. I have seen times when people weren’t at the table of a discussion that had to do with them. When congress debates legislation in committee that is specifically dealing with women’s health and not a single woman is given an opportunity to argue for or against it, or when local communities that have a particular racial makeup but have a power structure that does not reflect that makeup. Jeremy isn’t demonizing or insulting anyone; but he is absolutely pointing out what needs to be pointed out: that 6 white male individuals, 4 of whom are in a single jurisdiction ( are proposing radical restructuring of our entire denomination. That is very alarming! Thank you, Ben David Hensley, for pointing out that using sarcasm to make a point is neither demonizing nor insulting. I would add that it certainly is not “violence” either, as was suggested earlier. As anyone from a healthy family knows, we can love each other and still be snarky from time to time. Hey Sky, thanks for your patience in my reply. We share concern over identity and over diversity, and we both grieve when that is not on display. In your particular context, the identity of the person(s) promoting a novel idea in missions and ministry doesn’t matter as much because you already share many other aspects in common in your region. In my very-white Portland, we grieve our lack of diversity, but it also doesn’t stop us from mission and ministry in the meantime. Onward to perfection, right? That doesn’t mean that identity doesn’t matter–in fact, the concern over identity gets amplified the further “up the rings” it gets from a context even as large as a district. When it gets to the conference level, the basic identity point for the UMC is STATUS and REGION. At General Conference, people are identified as “clergy or lay” and their annual conference, much like US Congress is identified by their party and their state. To point out region as a form of identity is wholly embraced in the UMC. It’s odd, then, that you object to pointing out regional demographics when that’s the basic way how we identify people in the UMC at the general level. Sky, you wrote that I’m dismissing their ideas because of their demographics. Yet demographics matter to the UMC (see GC designations), matter to our monitoring agencies (part of GCORR/COSROW functions), and they matter to the sensible United Methodist. There’s a difference between dismissing and noting with concern when there’s a homogeneity to the the people promoting an idea. It’s not about dismissal, it’s about concern as to why this demographic is driving this while others seem not to (yet). Since plans for church reorganization are not commentaries on their love for Jesus, I object to the assumption that I don’t think anything good can come from them. Sky, in closing this comment, multiple times you’ve asked me to apologize or see the harm done by my rhetoric. It’s the very definition of a blind spot–or bias, even–to not see the way how others take my writing or speaking. And yet as I examine the evidence, I just don’t see it in this particular post, as outlined in the previous comment. I’m not going to give the trite “I’m sorry you were offended” because our relationship matters more than that. I will commit to listening more to make sure my voice isn’t becoming exactly what you write. I really do wish everyone would do their best to assume that those who disagree with them are seeking to follow Jesus and serve him. I recently saw a Facebook post that said “we don’t have to agree on anything to be kind to each other.” Unfortunately it doesn’t seem to apply in Pre-General Conference debate. Jeremy, I don’t have a dog in this fight but, here’s where I see you “gouging”. By referring to the “phantom menace.” By posting a picture of what appears to be an evil book of witchcraft or sorcery or dark magic. By implying a conspiracy of bishops and those who hold them accountable. By the various disrespectful ways you refer to the six originators. Why don’t you just engage the argument and tell us why you think it is a bad idea? You can also refer to the lack of diversity of the originators without conveying disrespect for them. Thanks for engaging the specifics, JD. The menace language refers to the plan–at least so far, no one has problems when I refer disparagingly to ideas. The primary point of this particular blog (with specifics coming later, as I wrote above) is to show how the additional changes to PlanUMC were made by a pretty homogenous group, and the effect that homogeneity has on the Plan’s treatment of minorities, women, and young adults. It’s important to note the demographics of the designers when the effect is as I outlined above…further, this was not noted in the UMNS article. While I did so in a snarky way, it wasn’t to vilify or disrespect, but to show why the “WHO” is a valid consideration. Repetition and saying the same thing in different ways drives home the point in my particular rhetorical style–and it’s one I think is important. The “who” matters, and it’s important to keep the “who” in mind–and to bring it to others minds when it is not kept there. I just wanted to let you know that I created a post on my blog that linked to this article so that a few others might see it. The link shows up as a trackback at the bottom of the piece. Thanks for posting this. While the intention of the plan’s creators might have been to sneak it by, it is clear that there is going to be a conversation. How many times is it in the Bible was the subject of being in the light to expose the darkness? It’s hard to know what to make of the merits of the proposal when the blog seems more interested in the demographics of the framers. But then, I’m a veteran white guy myself, so I assume my opinion is easily dismissed. For what it’s worth, I believe the plan as presented in 2012 was a good one and its demise greatly contributed to the perception of GC 2012 = debacle. Bruce, your opinion is absolutely valid so thanks for offering it. If there was a plan promoted by 100 veteran white guys without any women or minority voices, I would hope that you would have an inkling of concern that perhaps the 100 veteran white guys might not have the fullest of perspective. Competency cannot always overcome the limitations of perspective. Our Methodist value is a diverse table that makes for better ideas–by showing how the edits to this plan were made by a relatively homogenous group, I hope to show how further perspective is needed. I like to think I am sincere on this: If six minority women came up with a solid idea that demonstrated organizational competence, I’d give it a listen. As near as I can tell, the net effect of the 2012 General Conference was to flush ten million dollars and demonstrate that the Methodist connection is so broken that we can’t get ANYTHING done. Your statement, “Competency cannot always overcome the limitations of perspective” is dead on. I’m a 61-year-old recently retired white guy with 38 years of experience in ministry and higher education (including serving as dean of two UM colleges and president for 7 years of a highly diverse, independent, ecumenical seminary), with 2 master’s degrees and a PhD (all from world-class universities), so I think I can claim a certain degree of competence. But in spite of all this, I know that I cannot overcome my own blindspots–not because I don’t want to, but because I don’t even know they’re there. 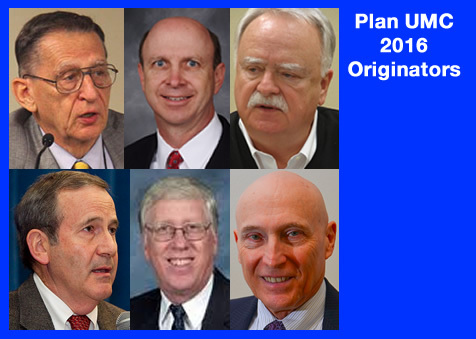 If I picked 5 other “old white guys” with as much experience and education as I have, or more, we still could not and should not try to propose a plan for UMC reorganization without seeking out and including voices and perspectives other than ours. It will be interesting to see if this legislation is discussed at North Texas AC. Since two members of our delegation and our Bishop seem to be behind it. It would need to have been submitted for conversation back in January/February, I think, for your conference. Since they opted not to bring it to the floor for consideration, it would be up to your Annual Conference Council or Sessions committee (the one in charge of AC) to make time for it. Given that the sentiment of “trust us, it will work” has permeated PlanUMC through its entire lifespan, I’m not surprised it won’t be discussed in a large forum before General Conference proceedings.